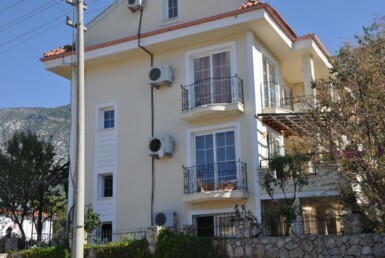 This 2 bedroom apartment is set on a small complex of just 12 apartments in the beautiful picturesque village of Ovacik. Well known for its beautiful mountain views and crisp clean air. 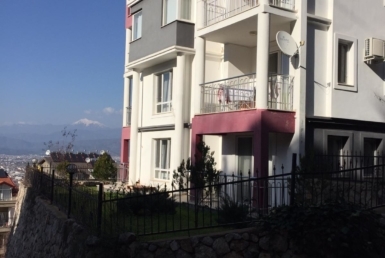 The apartment is located close to all amenities and just a 10 minute stroll to the very popular tourist resort of Hisaronu, which is a lively resort in the summer months. 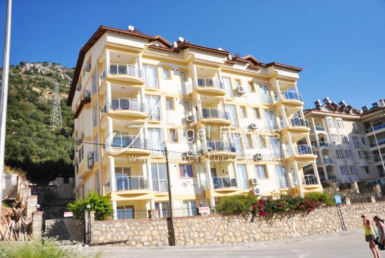 Here you can dance the night away and take full advantage of everything Hisaronu has to offer but then retreat to the apartment is its more sedate location. 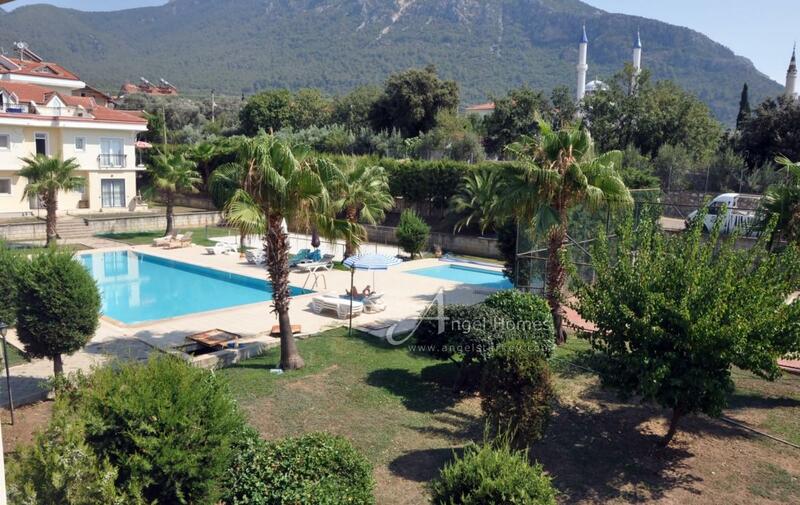 If you want to go to the beach, then Oludeniz is just 10 minutes away by road. Oludeniz is probably the most popular tourist destination in the area, famous for its sandy beaches, Blue Lagoon and World class Paragliding. 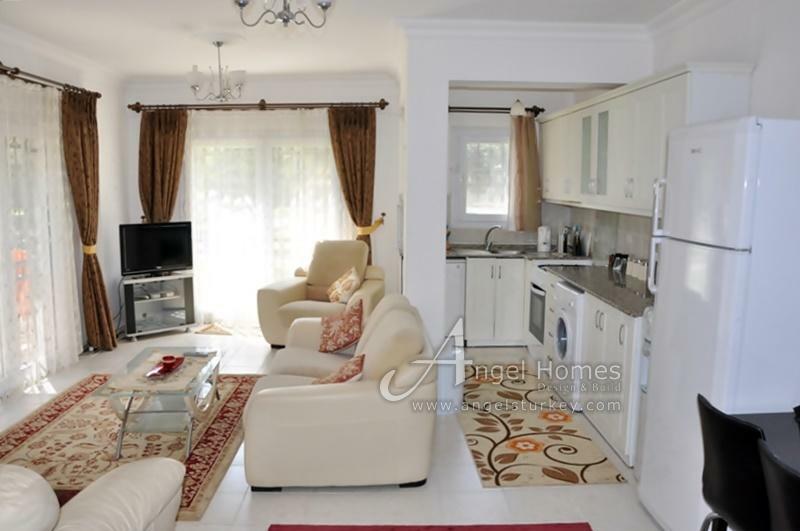 Fethiye is the nearest town, where there is everything you need for day to day living. 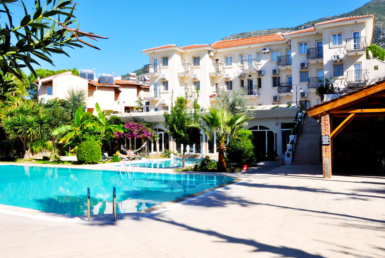 Fethiye has a very cosmopolitan vibe and is open all year round. You could shop till you drop, take a Turkish bath in the old town or a boat trip from the Harbour, with Fethiye there really is something for everyone. 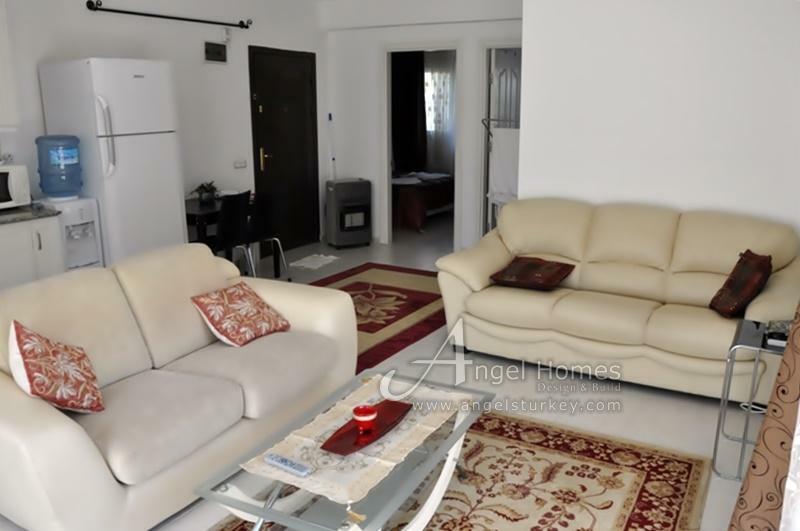 The apartment is on one level with open plan living room , dining area and kitchen. 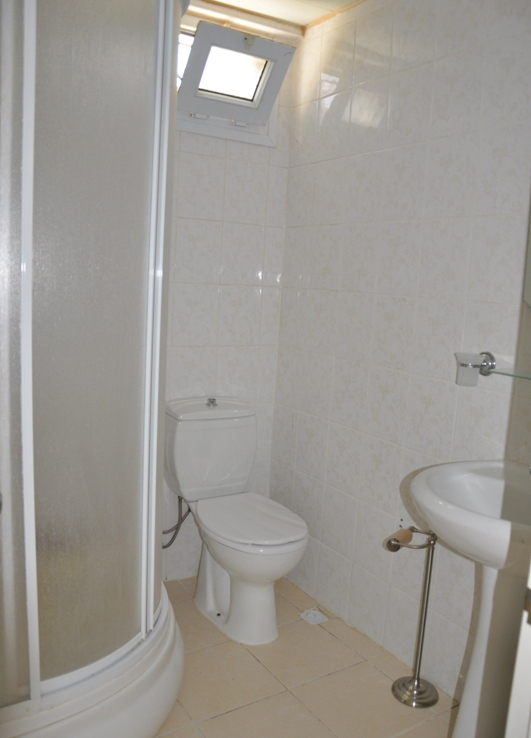 The decoration is light and bright which gives a real sense of space, as do the many windows and doors. 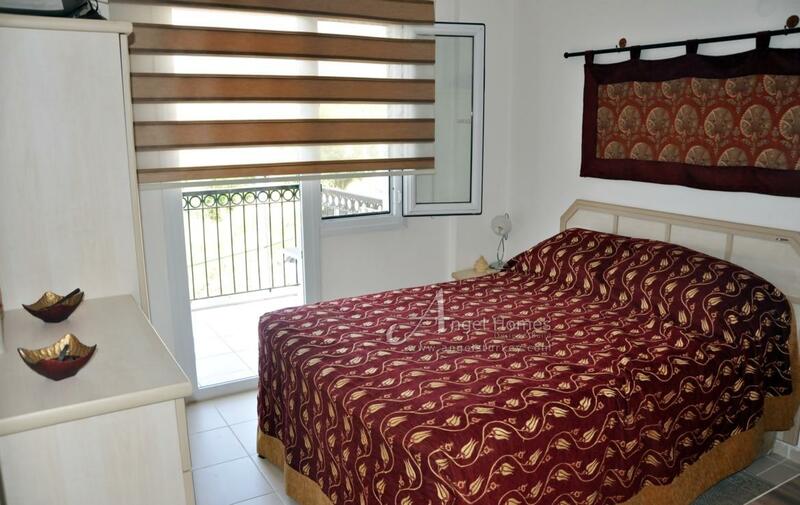 There are 2 bedrooms, both of which have balconies that overlook the pool and a large shared family bathroom. 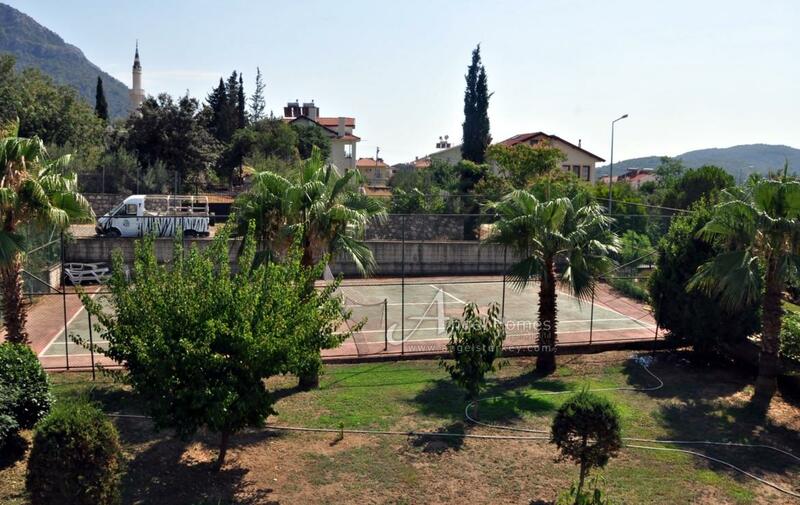 The onsite facilities include a large swimming pool, a children’s pool and tennis courts. 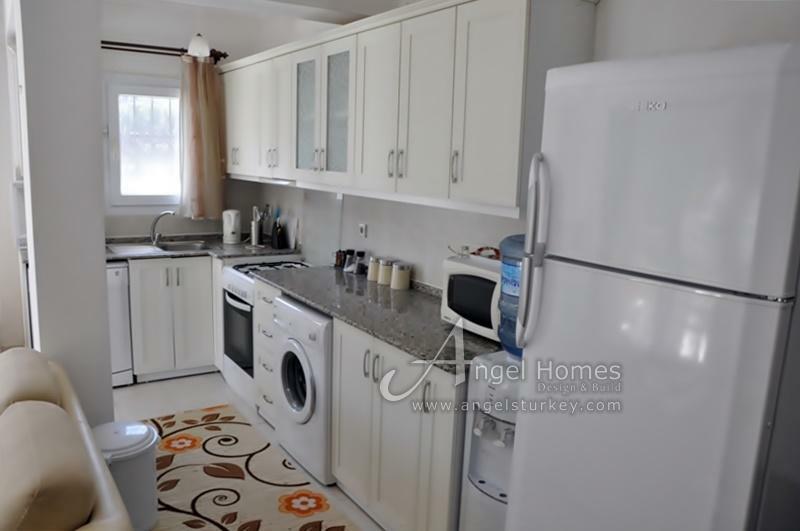 This property would be an ideal investment as a buy to let property as this area is one of the most popular in Turkey and already has an established rental market.